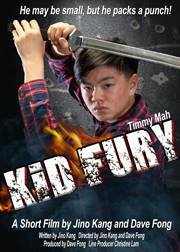 While I was out for the eclipse, Takeshi Lewis took the opportunity to talk to Jino Kang about his most recent martial arts film, Kid Fury. Find out more at Jino Kang’s official site. Also, they have a Facebook Page to follow.